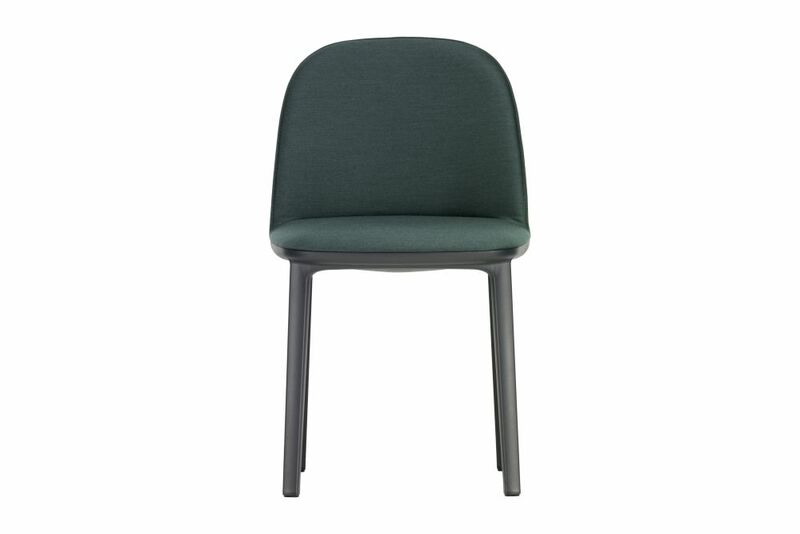 The Softshell Side Chair, whose gentle contours are defined by its soft upholstery, provides exceptionally comfortable seating and compact dimensions: vertical ribs concealed in the upper part of the backrest offer flexibility and considerable freedom of movement – and exceptional comfort even over prolonged periods of sitting. The Softshell Side Chair has a four-legged base made of robust plastic that accentuates the understated elegance of the design. Similar in appearance, the Softshell Side Chair and Softshell Chair can be perfectly combined at the same table. Both chairs are available in the same selection of versatile fabric or leather covers in a wide choice of colours.